Grandcentral is a website that based on California. It lets you have one number that you can essentially forward any other phone number you have, keeping you in touch with your friends, family everywhere. 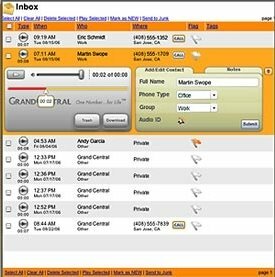 You can check your messages by phone, email, or online, record and store your phone calls as voice mail, keep your message online.